Recently, the body of a 16-year-old girl was found dumped in a drain in Lahore. The girl’s name was Uzma, and she was a domestic worker for a family living in the Iqbal Town area. Uzma was allegedly tortured and killed by her employers, who have now been arrested for further investigation. This case could have gone down as just another murder of an ill-fated child domestic worker in Pakistan, but the circumstances of her death outraged the whole country. Uzma had been a resident domestic worker for the accused family and was earning only Rs4,000 (approximately $29) per month. According to the neighbours, her employers used to address her abusively, and beat her whenever there were small mistakes in her work. One of the neighbours accused them of not feeding Uzma and locking her in the toilet if she did not perform her tasks properly. On the day of her murder, she was hit on the head with a hard object by one of her employers when she tried to eat some food off the employer’s daughter’s plate. The blow proved to be fatal but she was never taken to the hospital. Later, her body was dumped in a nearby sewer. As much as such words are like music to our ears, the state needs to reassure us that its actions sound louder than words. Recently, the Punjab Domestic Worker’s Bill 2018 was passed in the Punjab Assembly, setting the minimum age for a child domestic worker at 15. However, at the moment, there is no procedural implementation of existing laws to improve the working conditions of domestic workers. They are still being harassed and tormented by their employers, as surfaced by the brutal killing of Uzma. Punjab Government approves Domestic Workers Bill, 2018. Its a landmark legislation and is expected to empower the domestic workers throughout Punjab. The situation gets even worse when it comes to child domestic labour. Uzma is not the only victim of child domestic labour; there have been several such wretched and inhuman cases of torture and murder in recent times. According to the Institute for Social Justice (ISJ), a research and advocacy group, 41 cases related to child domestic workers were reported between 2010 and 2013. Out of those, 19 child workers died due to severe torture by their employers. 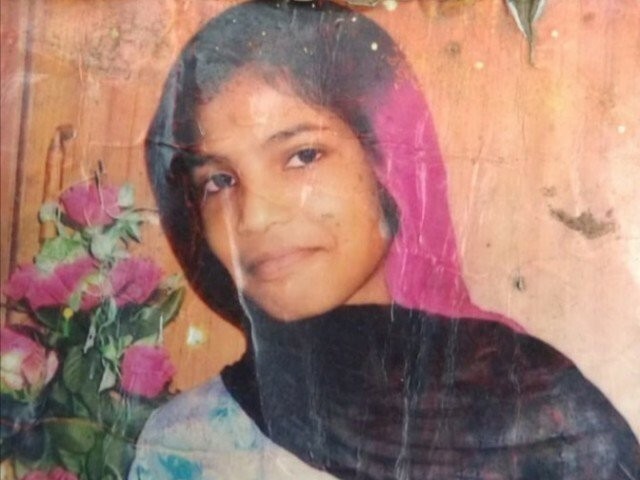 A few years ago, 12-year-old Shazia Masih was tortured and killed in Lahore. The preliminary medical revealed 17 injuries to her forehead, cheeks and scalp caused by a blunt weapon. She was taken to the hospital in a critical condition but couldn’t sustain the injuries and later passed away. She was employed by the former president of the Lahore Bar Association, which is why initially the police refused to register an FIR against the perpetrators due to their influence. It was only after the intervention of the chief minister of Punjab that an FIR was registered. The murder trial continued for about nine months and eventually the court acquitted her employers – as it normally happens when the victims are poor and defenceless. Surprisingly, it was not even considered by the court that employing a 12-year-old was illegal in the first place. The Constitution of Pakistan prohibits employment of children under 14 in hazardous industries; but child domestic work is not included in such hazardous working practices. What is completely missed out is the hidden nature of domestic work where a child is vulnerable to all forms of abuse. Such practices are also in violation of Article 25A of the Constitution, which ensures right to education to all children from the age of five to 16 years. Laws alone can’t protect anyone until the state implements them strictly. At a societal level, collective efforts are needed by the media and civil society to challenge the prejudice against domestic workers and to ban child labour in both, commercial and domestic settings. 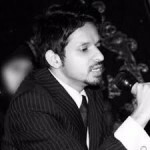 As we demand justice for Uzma, we must not forget that our denial of children’s rights in general has contributed to their increased vulnerability to abuse. The stories of horrific crimes against children do appear in the media, but nothing much is done about it as the perpetrators are usually rich and influential people. Our silence in response to these brutal crimes indicates the moral decay of our society and the state. It is indeed the state’s responsibility to put safeguarding mechanisms and child protection policies in place. Let’s hope that the removal of discriminatory signs from the elite clubs by the present government is followed by concrete commitments, including policy frameworks and structures, in order to protect the marginalised segments of our society.